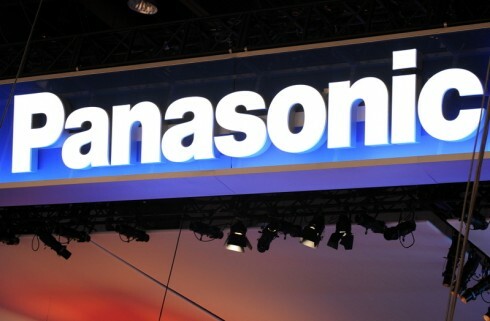 On March 25, 2019, Panasonic Corporation announced that the IEEE Standards Association has approved the company’s next-generation broadband over powerline (BPL) communication technology for Internet of Things (IoT) as the IEEE 1901a Standard on March 21, 2019 at the Standards Board meeting in Munich, Germany. The company proposed the technology to the IEEE Standardization 1901a Working Group*2 in June 2018. This standard flexibly meets various demands for IoT-related services. The standard mode communication band can be doubled or quadrupled, allowing a 500 Mbps*3 communication speed in double mode or a maximum of 1 Gbps*3 in quadruple mode on coaxial cable or dedicated line. The standard mode communication band can be compressed by a factor of two or four (half or quarter), concentrating energy in narrow bands and consequently extending the communication distance up to twice the distance*4 in standard mode with a lower communication speed. This ability to select communication speed modes allows a flexible response to each user’s needs, opening the scope of HD-PLC® application to all aspects of daily life. Panasonic is now shifting to a strategy of providing “Lifestyle Updates” to consistently enhance the quality of people’s lives with products and services evolving with the individual end-user’s personal preferences and way of life. The integrated lifestyle platform HomeX is the information infrastructure that opens to various service providers and partners of corresponding consumer electronics and equipment. In order to continuously offer new lifestyle values according to the needs of the residents, every product such as household equipment, consumer electronics, and sensors in a home must always be connected to networks. The newly approved IoT BPL communication international standard defines a foundation technology designed for communications in homes, but not only. This technology also supports large-scale networks covering social infrastructure such as buildings and factories as well as homes, with prospects for use in a wide range of areas. Panasonic licenses IoT BPL communication technology defined in this standard with the aim of promoting a greater evolution of the HD-PLC® technology. In addition, by striving to secure interconnectivity between products conforming to the IEEE 1901 series through organizations such as the HD-PLC Alliance,*5 Panasonic seeks to provide HD-PLC® products that users can use with confidence. HD-PLC® is the name of a High Definition Power Line Communication system created by Panasonic, and is a registered trademark in Japan and other countries. The Standardization Working Group about power line communications standards within the Institute of Electrical and Electronics Engineers (IEEE). 500 Mbps and 1 Gbps are theoretical maximum speeds at the physical layer. The maximum communication distance varies depending on communication environment conditions. Established on September 25, 2007 with the aim of ensuring communication compatibility and widespread adoption of HD-PLC®.